ACR / Artex (ACR Electronics, Inc.) is the leading development center for emergency beacons that are designed with one purpose in mind: Saving Lives. 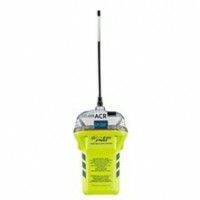 The GlobalFix™ iPRO Emergency Position Indicating Radio Beacon (EPIRB) is the next generation in marine safety electronics. The GlobalFix™ iPRO is a breakthrough product that boasts a digital display and dual GPS technology.